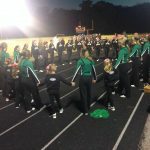 At the conclusion of the Boys 16th Region Boys Basketball Tournament, the Rowan County Cheerleaders got the news they were hoping for. 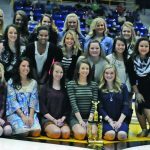 Coach Fannin’s squad was named 16th Region Cheer Champions. Congratulations to the coaches and team on this great honor! The Rowan County Viking Cheerleaders will be holding a car wash this Saturday, June 20th at Advanced Auto Parts from 10 a.m. to 2:00 p.m. Hope everyone can make it out to support your Viking Cheerleaders! GO VIKINGS!! On Monday, May 18th, Maggie Quesinberry reached a lifelong goal. 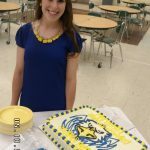 Surrounded by friends, family, coaches,and teammates, Maggie signed to cheer at Morehead State University. She will compete on the co-ed squad. Congratulations to Maggie on this accomplishment. The cheerleaders gathered at Courtney Peters’ house on December 14 for snacks and present sharing. They appreciate Diane Collins, Courtney’s Mom, for opening their home to them. 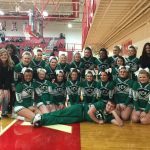 Girls Varsity Competitive Cheer Fall, Girls Varsity Competitive Cheer Winter · Jan 22 Cheerleaders Support Their Vikings! The cheerleaders are busy getting ready for their upcoming UCA competition, but they know their MOST IMPORTANT job is to cheer on their Vikings!